Fresh and feisty, mai tais symbolize island adventures and free-spirited romance, making them the perfect drink to enjoy on Valentine's Day. Adorned with a colorful island flower, mai tais have been delighting beachgoers since the now-classic cocktail was first invented in California in the early 20th century. 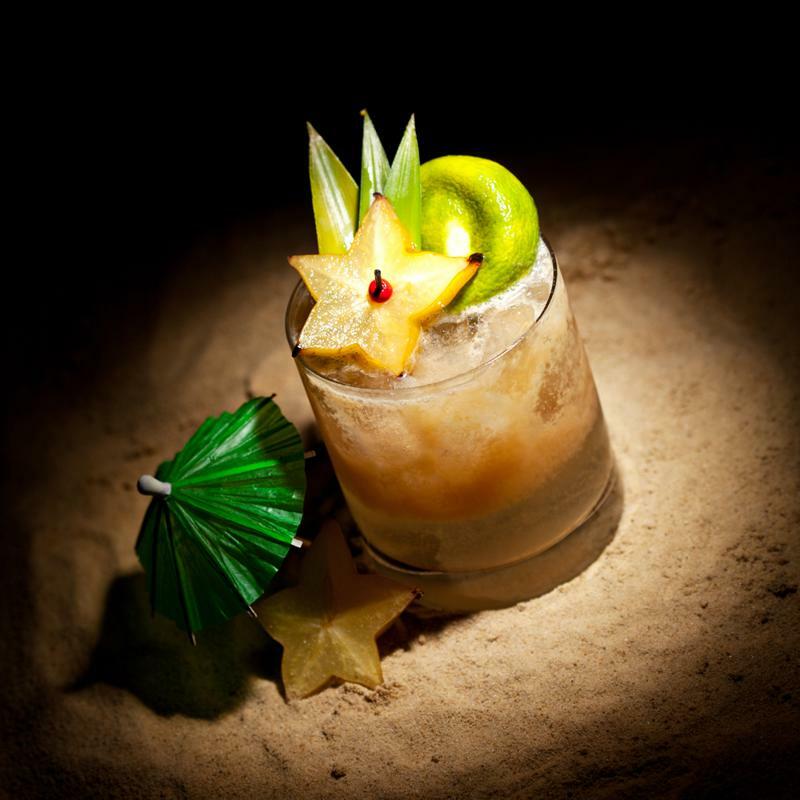 Mai tais really are synonymous with good times - the name is derived from "maita'i," the Tahitian word for "good." Celebrate good times with your loved one on Valentine's Day with the five fun and flirty frozen mai tai recipes below, made with your Margaritaville® Jimmy Buffett Anniversary Edition Key West™ Frozen Concoction Maker®. To stick with the classic mai tai formula, be sure to use orgeat syrup and curacao. Orgeat syrup is made from sugar, almonds and orange flower water or rose water, while curaçao is a liqueur made with orange peels. If you can't find orgeat syrup in a liquor store or at you grocer's, you can order it online. You and your sweetheart have history - and so does the mai tai. It's simply a good thing that lasts, just like your love. Add ice to the ice reservoir and all remaining ingredients to the Margaritaville® Jimmy Buffett Anniversary Edition Key West™ Frozen Concoction Maker® glass jar. Concoct and pour into glasses. Garnish each concoction with a maraschino cherry, pineapple wedge and mini paper umbrella and enjoy. 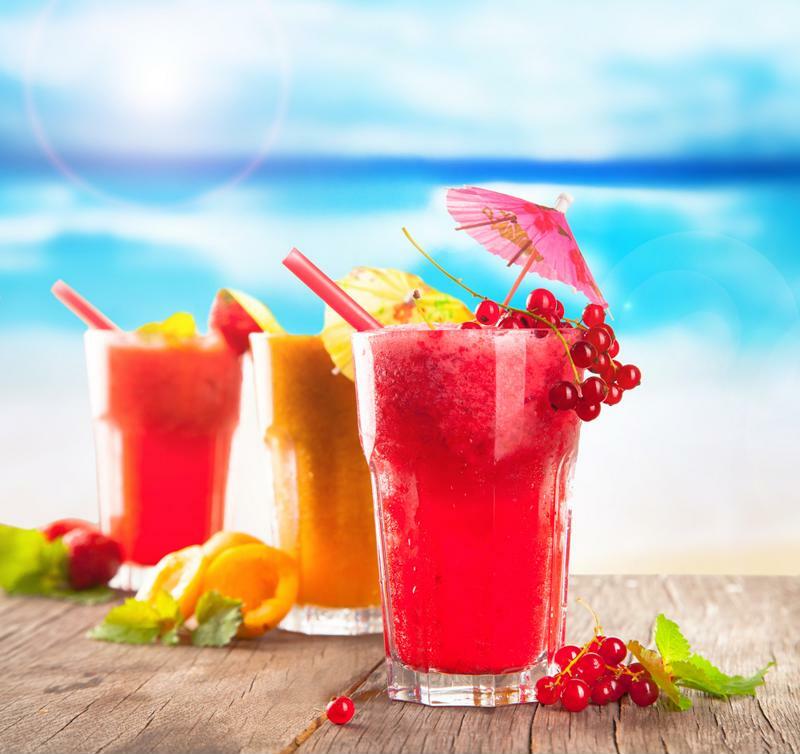 You don't need plane tickets to escape - all you need is a frozen mai tai! Coconut gives the classic mai tai a sweet and dreamy twist. A honey-and-coconut glass rim makes the concoction extra festive for Valentine's Day. To prepare glasses, dip glass rims in honey and then in the coconut flakes. Add ice to the ice reservoir and all remaining ingredients to the Margaritaville® Jimmy Buffett Anniversary Edition Key West™ Frozen Concoction Maker® glass jar. Concoct and pour into prepared glasses. Garnish each concoction with a maraschino cherry and enjoy. Gently swaying palm trees, bright orange sunsets, sparkling waterfalls ... tropical islands set the stage for an unforgettable romance. You don't need to get plane tickets to escape to paradise with your loved one, however - you can just make this flirty mai tai made with delectable island fruits. Add ice to the ice reservoir and all remaining ingredients to the Margaritaville® Jimmy Buffett Anniversary Edition Key West™ Frozen Concoction Maker® glass jar. Concoct and pour into glasses. Garnish each concoction with a maraschino, pineapple wedge and mango cube and enjoy. Fun and flirty, the mai tai is the perfect drink for Valentine's Day. A red-hot romance deserves an adventures Valentine's Day concoction with some heat. A cinnamon-sugar glass rim keeps that balance of sweet and sassy that you love so much. Combine brown sugar and extra cinnamon in a small bowl. Dip glasses in honey and then in the cinnamon-sugar mixture to prepare rims. Then, add ice to the ice reservoir and all remaining ingredients to the Margaritaville® Jimmy Buffett Anniversary Edition Key West™ Frozen Concoction Maker® glass jar. Concoct, pour into prepared glasses and enjoy. Serenade your lover with a berry mai tai in a gorgeous pink-and-purple hue. Add ice to the ice reservoir and all remaining ingredients to the Margaritaville® Jimmy Buffett Anniversary Edition Key West™ Frozen Concoction Maker® glass jar. Concoct and pour into glasses. Garnish each concoction with a sprinkling of fresh raspberries and a strawberry half and enjoy.